Using corners will be a practical solution for small apartments and homes at all, specially in kitchen corners have to be used wisely most of kitchens corners are empty or unused well, So we will share with you a collection of the most beautiful kitchen corners decoration ideas and designs for kitchen corner table, sinks and kitchen corner storage unites, corner cupboard & shelf. Yes everything unique ideas & creative designs about corners in kitchen. Explore this selection of the best kitchen corners ideas for modern & luxury homes. with these inspiration ideas and decorations you can start remodeling or makeover your kitchen to use more space and give your kitchen a luxurious style. 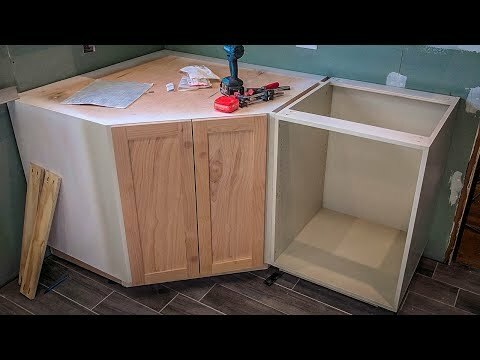 Using kitchen corner sink will be a very practical ideas for small kitchens also, it will be easy to get everything you want while being washing dishes, you will be in the corner and you can reach big space around the sink to store dishes after washing it or to put it in the tables. You can use backsplash to enhance corner kitchen sinks design. Replace corner kitchen table with a corner banquette table will be contemporary for you kitchen and allow you to use less space and maximize seating. Corner cabinets or cupboard will save a lot of your kitchen space in instead of the normal cupboards. Kitchen, using it with a corner sink will make you waste nothing of your kitchen space. Shelves in kitchen corners are a smart step to use more space that you never use before and enhance your kitchen design.